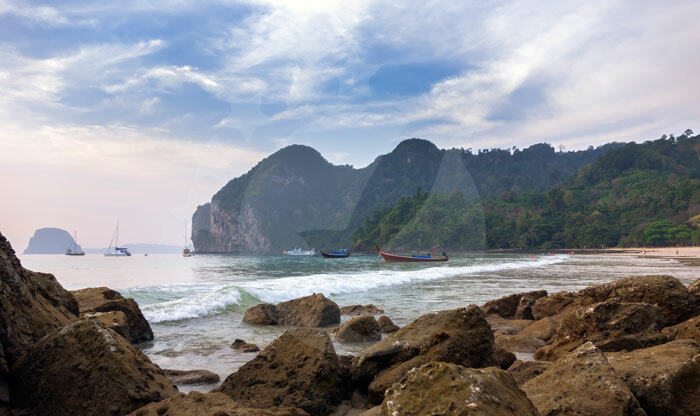 Although it is pretty much unknown to many travelers as they most probably visit places like Krabi, Phuket, Koh Phi Phi, and Koh Lanta, Koh Mook has quite a lot to offer. Mook is a small island that is why it doesn’t have an airport. 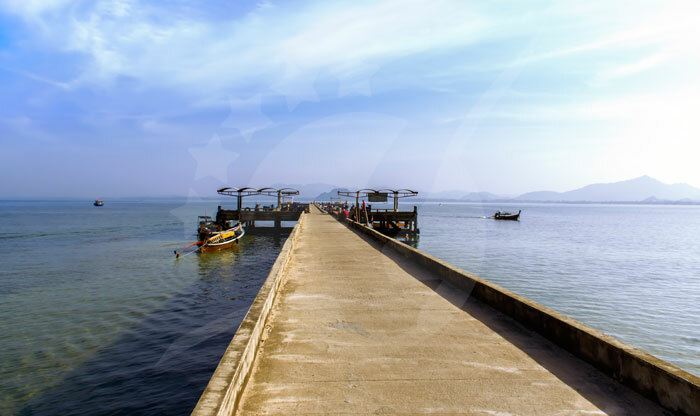 If you’re coming from Trang you can buy a combined minibus/ferry ticket to go from the Town to Kuan Tung Ku Pier then take a 30-minute ferry to Koh Mook. You can also book a speedboat trip from several islands like Koh Phi Phi which is almost 2 hours away, or from Rassada Pier in Phuket which... อ่านเพิ่มเติม Although it is pretty much unknown to many travelers as they most probably visit places like Krabi, Phuket, Koh Phi Phi, and Koh Lanta, Koh Mook has quite a lot to offer. Mook is a small island that is why it doesn’t have an airport. If you’re coming from Trang you can buy a combined minibus/ferry ticket to go from the Town to Kuan Tung Ku Pier then take a 30-minute ferry to Koh Mook. You can also book a speedboat trip from several islands like Koh Phi Phi which is almost 2 hours away, or from Rassada Pier in Phuket which takes 3 hours to reach the island, and the speedboat might stop at several islands along the way. 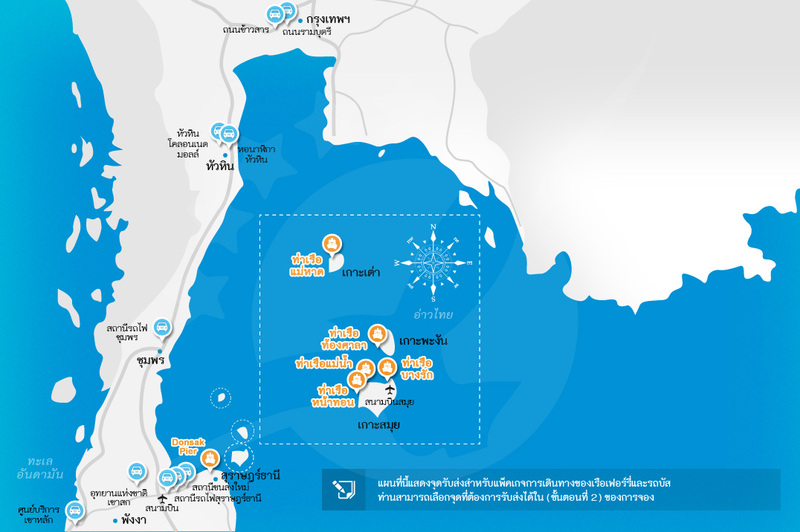 Koh Lanta is 50-minutes away by speedboat, and Koh Lipe is 2 hours, the speedboat departs from Pattaya Beach. 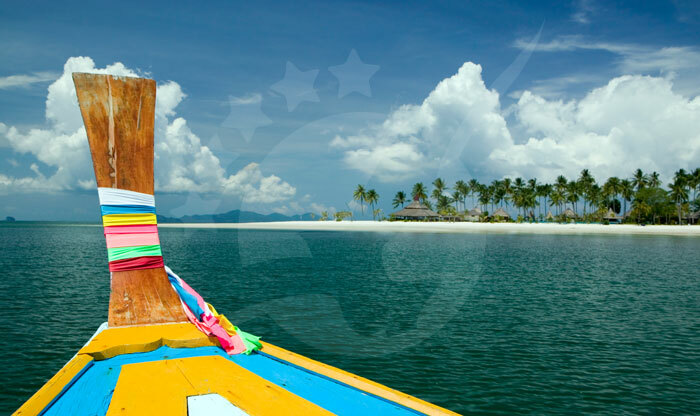 Koh Ngai is so close to Koh Mook it takes only 20-minutes to reach the island by speedboat. 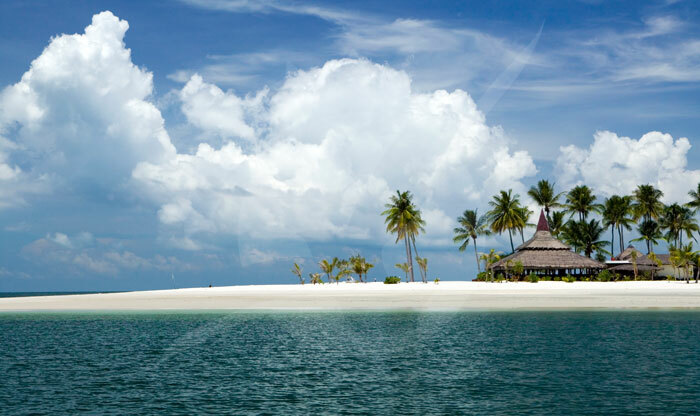 Same goes to the neighboring islands Koh Kradan and Koh Bulon, Koh Kradan is 15-minutes and Koh Bulon is 1 hour away from the beautiful Koh Mook. Koh Mook also referred to as “Koh Muk” is a piece from paradise, this small island is located in the southern Andaman coast in the south of Thailand. 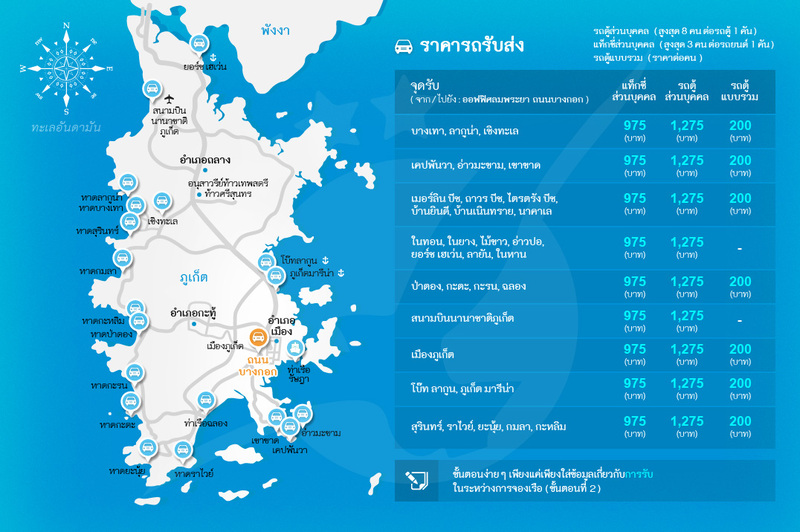 The Thai word “Muk” means pearl, so the island is called “Pearl Island”. 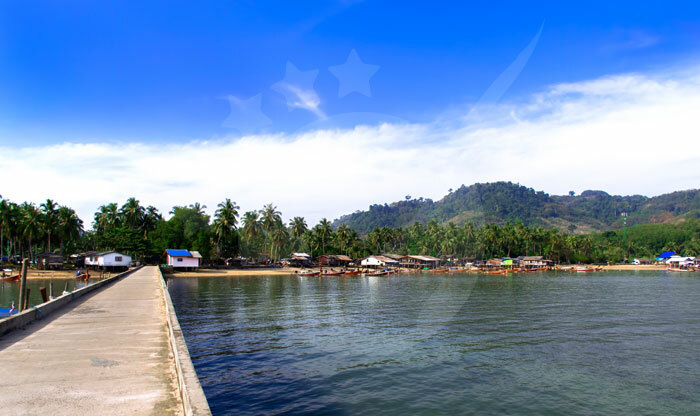 The majority of the population on pearl island is Thai-Muslim and the main and almost the only industry on Muk is tourism. 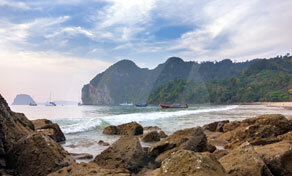 Koh Muk is a fine alternative to the more busy islands in the Andaman Sea. 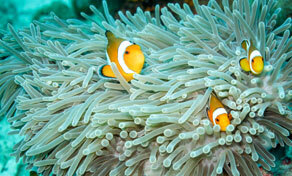 Diving is one of the most popular activities around most of Thailand’s islands. 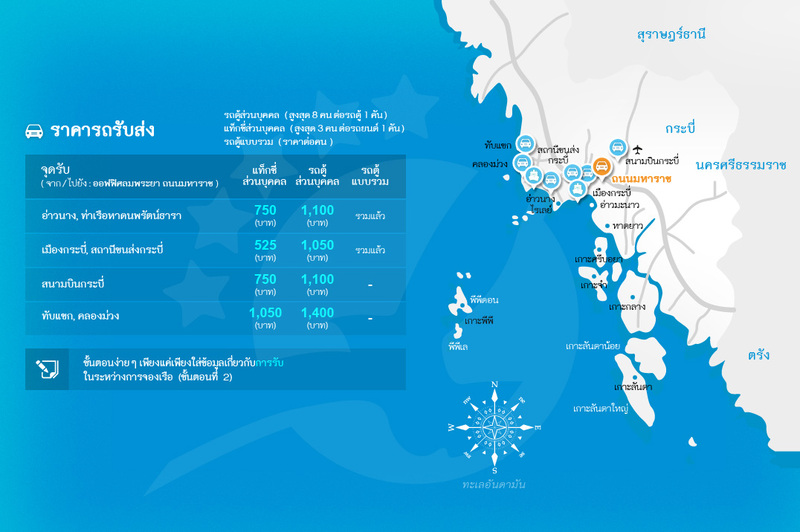 The first diving site in Koh Mook is where underwater marriage ceremonies were first held. The second one is called Koh Mah and it is a horse-shaped island which its water contains coral and seaweed. The third one is Koh Chueak which is a group of two small islands with water moving quickly between them, so you should hang on tight to your tour guide’s rope while admiring the colorful fish and reefs. 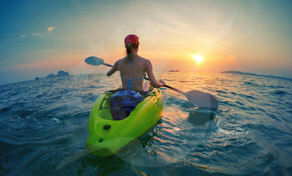 Kayaking is a fun sport for all ages, especially if you’re surrounded by beautiful sceneries. Tom Yai Bay is an amazing spot for kayaking because of the gentle waters. 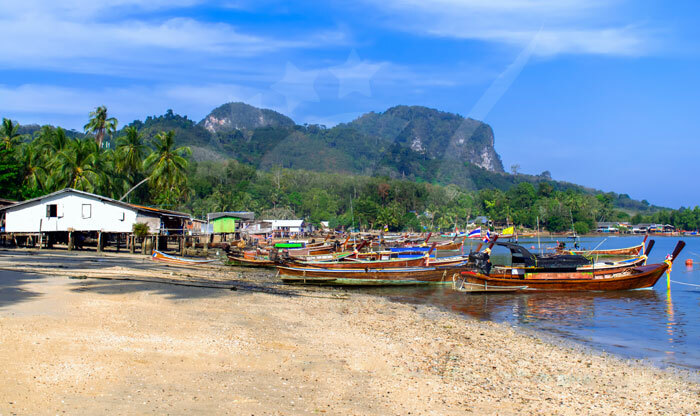 This bay is also where Tham Morakot and Farang beach are located so you can kayak your way through the passage to Tham Morakot if the tide is low, or you can spot the beautiful coral reefs from your boat. 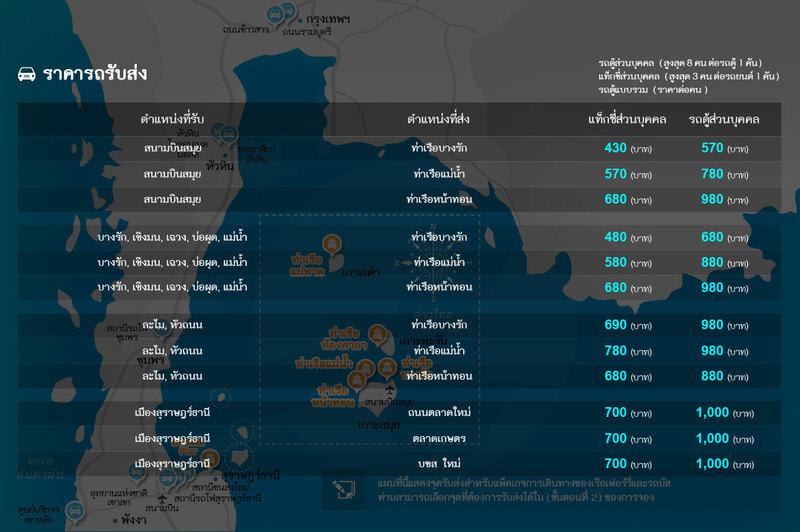 You can rent a kayak from Farang beach or Swasdee resort and Charlie Beach resort. Farang beach is Koh Mook’s hidden gem and is also the most popular location on the island. This beach is also called Haad Si Yo or Charlie Beach. 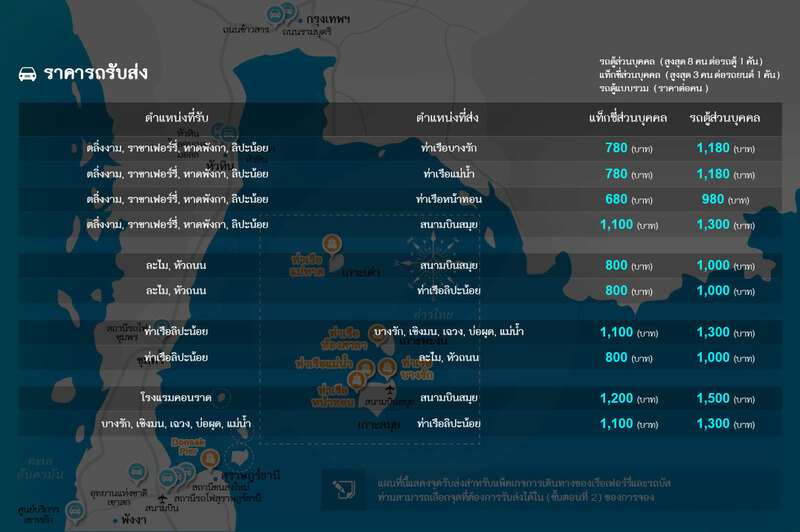 Farang is translated to “Foreigners” which makes total sense as it is the center of tourists activities on the island. Resorts and restaurants are lined across the coast, the water is perfect for kayaking or swimming and it is also where you can depart on a boat trip to the nearby locations. Travelers come from miles around on boat trips to experience this extremely beautiful spot. Tham Morakot Cave, also called The Emerald Cave is a result of a sinkhole. To enter The Emerald Cave, travelers must swim through a dark, small passage, the tour guide will provide you with a life jacket and a tow rope. 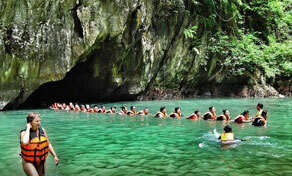 Once you get through the passage you’ll find a sheltered beach with green emerald water, it will take your breath away.